I try my best to have a giveaway every month but it takes me some time to get my act together, so even though it is a bit late here it is... This month we are giving away A choice of two pillows... yes that is right! Are you excited I hope so. 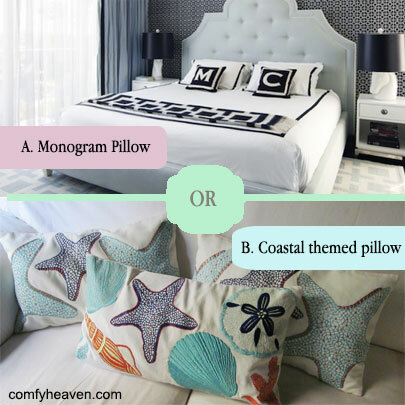 You can choose between one of our coastal themed pillows or one of our custom made monogram pillows. All details are below , I love using Rafflecoptor for our giveaways.